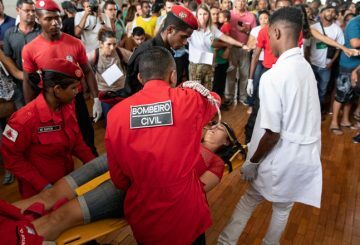 The Labour Ministry reminds for preparations for the World Day for Safety. 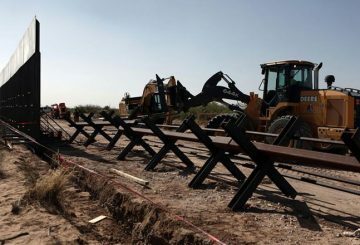 Workers and students who frequently cross the US border with Mexico worried over the weekend about the impact on their lives if President Donald Trump follows through on a threat to shut entry points used by hundreds of thousands of people every day. 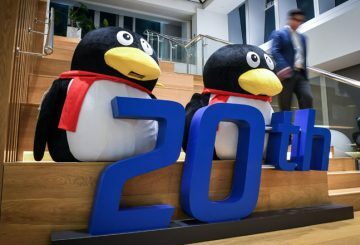 W&D Company has accepted the return of more than 1,000 of its sacked workers. Labour Ministry decides to suspend seniority indemnity payments. A wave of “faintings” swept through the women working at the Indochine Apparel. 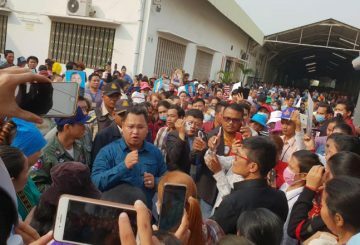 Planned negotiations between W&D Cambodia Co Ltd and its workers’ representatives yesterday over a labour dispute were scuttled because the management’s team did not show up. 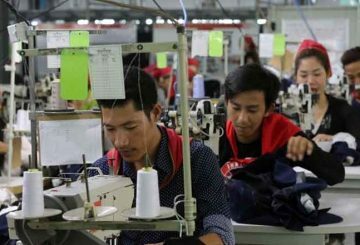 Two months after a directive came into effect stipulating that salaries be given fortnightly, garment workers say they are enjoying greater cash flows and borrowing less. Labour Minister reminds workers to take care of their health. 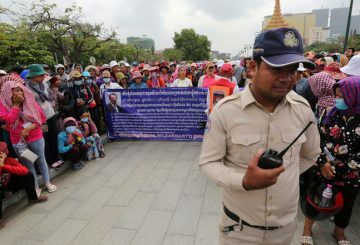 W&D garment workers march to the Labour Ministry over their labour dispute and demand all workers are back to work. 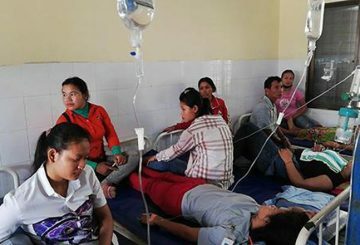 Nearly 60 workers of Olive Apparel faint, the 3rd time it has happened in Por Senchey. 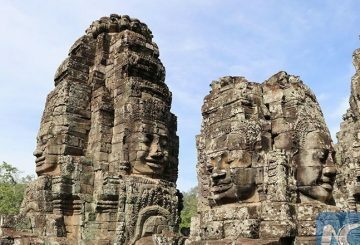 The Thai government will waiver re-entry visas for Cambodian workers from April 5 to April 30. 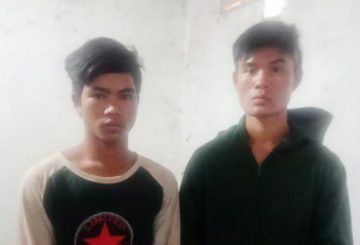 This is to facilitate their return after crossing the Cambodia-Thai border to visit their families for Khmer New Year (April 14-16). 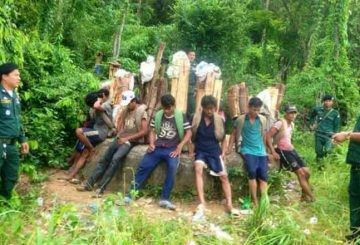 Eighteen workers are reportedly arrested while they used equipment to cut down rosewood trees in a national park. 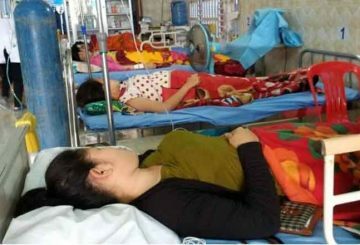 Nearly 30 workers at the Baihong Cambodia lighting factory faint. 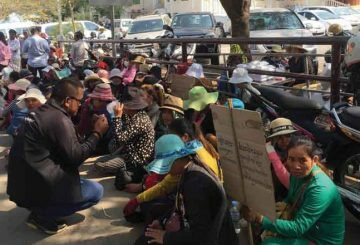 More than 100 former workers from the W&D factory demand their reinstatement. 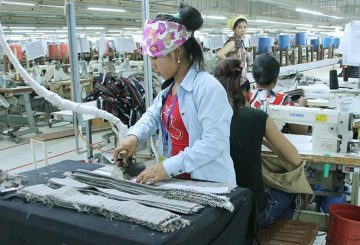 The Garment Manufacturers Association in Cambodia on Saturday issued a statement saying W&D Cambodia Co Ltd’s termination of striking workers was done in accordance with the law. 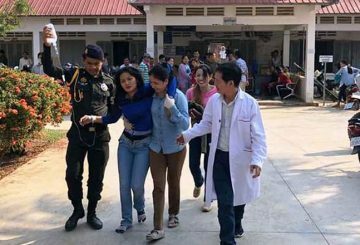 At least 34 people are killed after a tailings dam collapsed Friday afternoon. 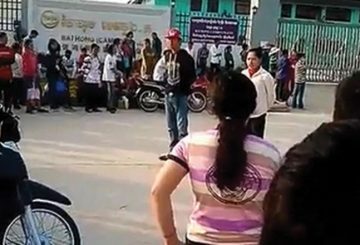 Kratie Court charges four men over a brawl involving two groups of workers. 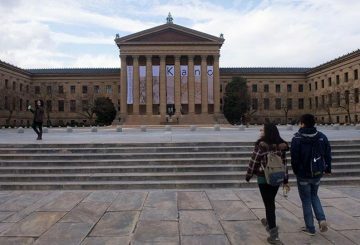 It may not put a meal on the table for furloughed federal employees, but some US museums and symphonies are supplying food for the mind in free admission for workers affected by the longest partial federal government shutdown in US history. 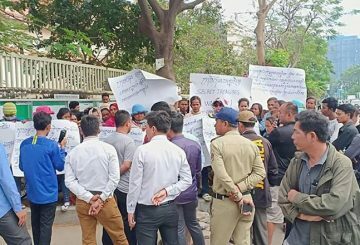 Prestige Garment Co in Kandal province has fired four more workers this month following protests over the December 22 sacking of a worker representative who was trying to form a union. 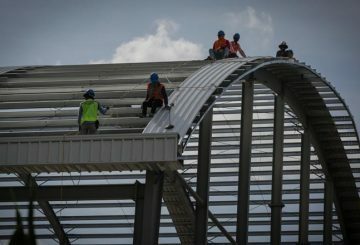 Last year saw a notable increase in the number of factory openings. 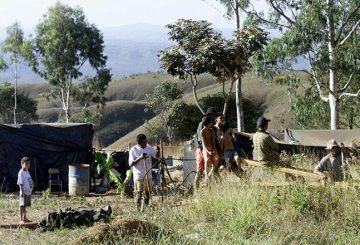 Brazil’s government will seek to classify “invasions” of farmland as akin to terrorism. 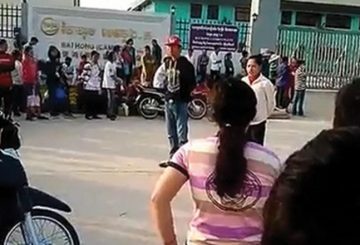 Nearly 500 workers at the Bai Hong factory in Svay Rieng province go on strike. 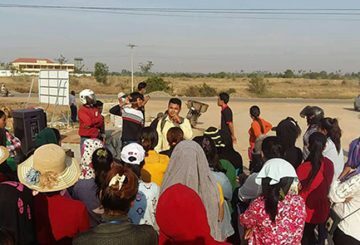 Nearly 500 workers at the Bai Hong factory in Svay Rieng province went on strike today after the company fired three representatives who were in the process of forming a union. 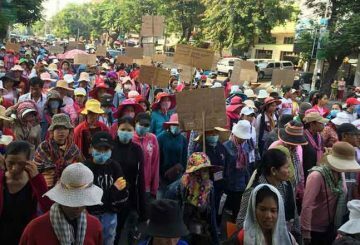 Protesting workers of VGreen agree to return to work with basic salary of $15. 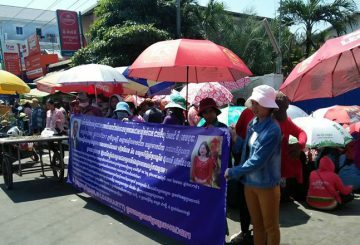 Prestige Garment factory workers still protesting the sacking of a union-colleague. 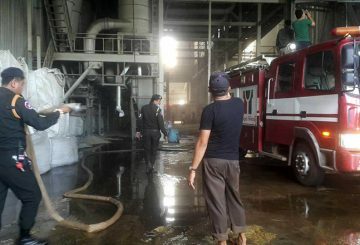 A rice factory fire yesterday killed two workers and injured four others in Kampong Speu province’s Odong district. 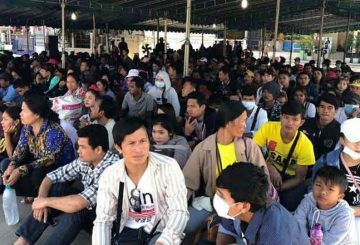 Government officials have responded to a request made by the government of the United Arab Emirates for Cambodian workers. 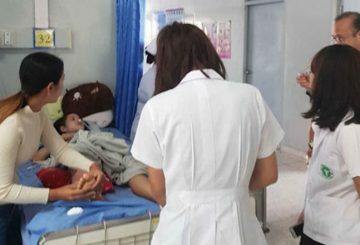 Two Cambodians died and two others were seriously hurt on Friday when a van ferrying 10 workers from Thailand to the Poipet international border veered off the road and crashed into a tree in Sa Kaeo province. 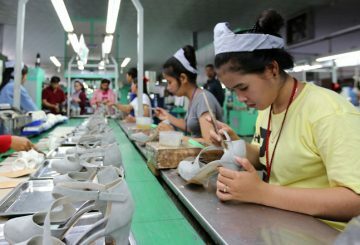 The Centre for Alliance of Labour and Human Rights has found that companies are annually increasing production targets for workers in tandem with the rise in minimum wages.